Nicalis and Christophe Galati have announced that Save Me Mr Tako! 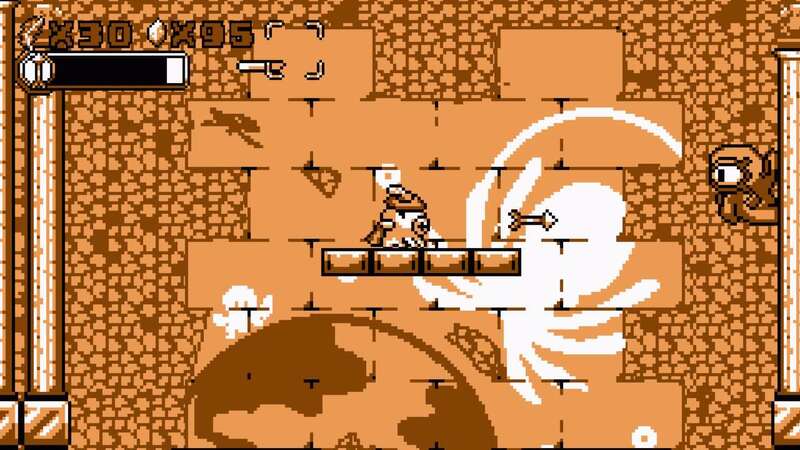 will release on Nintendo Switch this month, a throwback-style action-adventure game in which you play as a friendly octopus called Mr Tako. This heartfelt homage to portable gaming’s past has bitmapped graphics in different colour palettes and chiptune instrumentation, lending a retro vibe to the experience. Humans and octopi are at war, but Mr Tako is more than happy to help whoever he can and, one stormy night, saves a woman from drowning. When a fairy witnesses this act of bravery, she grants Mr Tako the ability to survive on land where he hopes to resolve the conflict between the two races. On his journey, you can discover and wear 50 different hats to gain special abilities that will help you solve puzzles, topple bosses and work your way through the 16 mysterious dungeons that you will stumble into. Save Me Mr Tako! will release on the Nintendo eShop for Nintendo Switch worldwide on October 30th priced at $14.99.